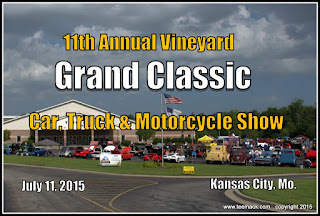 The 11th Annual Vineyard Grand Classic Car, Truck and Motorcycle Show was held at the Vineyard Church in northern Kansas City, Missouri on July 11,2015. The Annual show is open to all vehicles. It was a very sunny and temperatures were in the low 90's. 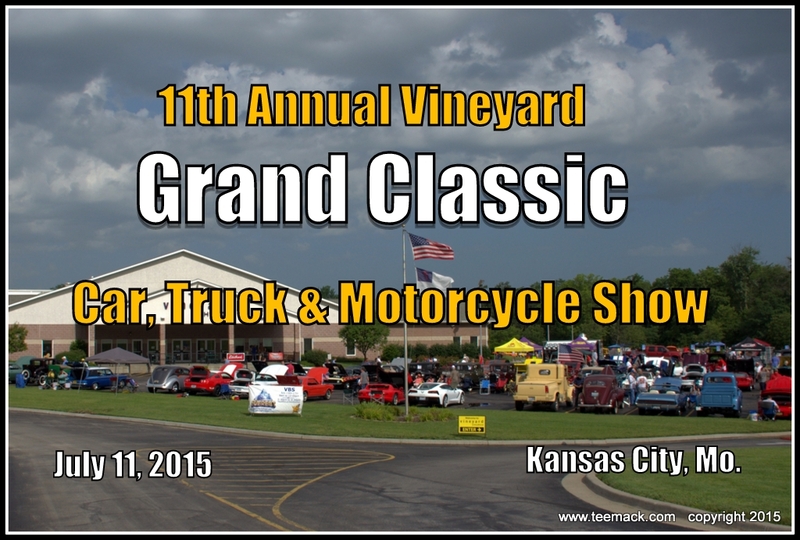 Approximately 160 vehicles were on display. Click Here to view photos of the Car Show.